To close out a year of his engagements in Terraza 7, Prasanna returns to the music of his favorite Indian film composer Illayaraja as his source material for his Dec 2016 concert. 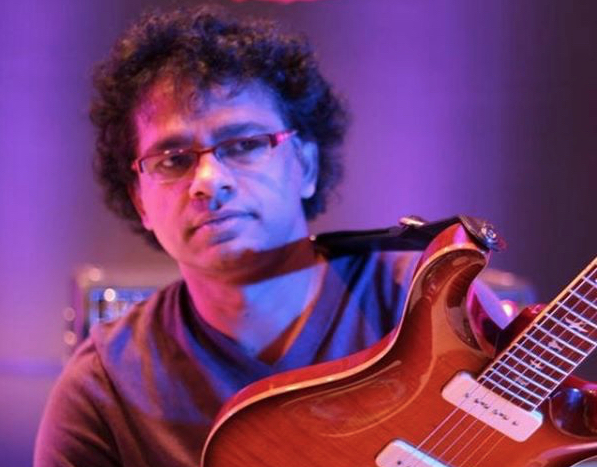 Three of the biggest sell out shows that Prasanna did at Terraza 7 this year has featured him playing the music of Illayaraja with what he calls his “Terraza magic band” with Manu Koch on Piano, Steve Jenkins on Bass, Mauricio Zottarelli on drums . Add to that the wonderful contribution of his wife Shalini as a guest vocalist this time and the stage is set for a showdown of high energy music that defies categorization. Come and out enjoy the holiday spirit and witness how so many diverse musical styles come together with that special Prasanna touch that we have all come to know. No Replies to "PRASANNA PLAYS ILLAYARAJA"